It takes a lot of volunteers to make youth sports work. Expand your knowledge of wrestling. Give back to a sport that you love. Make a little extra money. 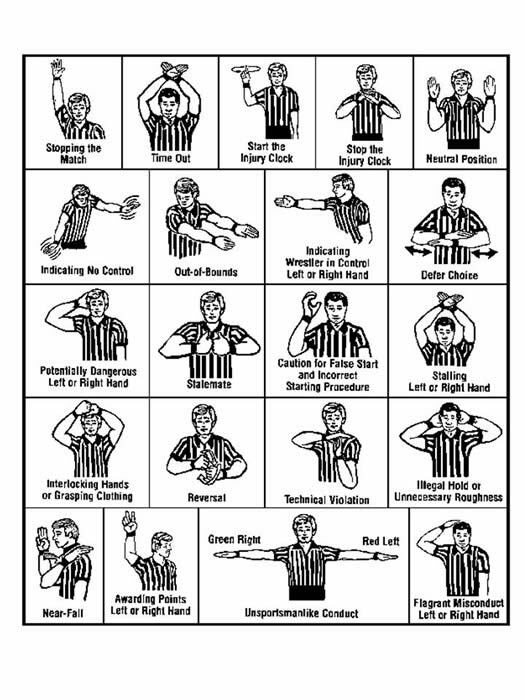 Here is some basic information on becoming an official. 2) The registration fee is $65.00 for one sport. 3) You will be sent a 2016-17 Rule Book and Case Book. 4) Take a one time on online open book test over wrestling rules. 5) Attend a Mechanics Clinic the first three years of registration. 6) If you want to be eligible to officiate MSHSAA events you will also be required to complete the National Federation Part II exam. If you have questions about registering with MSHSAA call their Office (573/875-4880). 2016-17 Rules Meetings have not been scheduled at this time. When the dates become available they will be posted on the MSHSAA site for officials at https://www.mshsaa.org/Officials/RulesMeetings.aspx. This is also available online on the MSHSAA web site. Visit this page for important information from our Official's Coordinator Troy Brewer. Troy's email is troybrewer@sbcglobal.net and his phone number is (816) 797-3682. Below is where you can post comments or ask questions. ©2019 Missouri USA Wrestling / SportsEngine. All Rights Reserved.